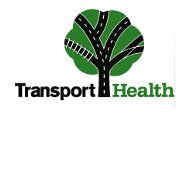 Transport Health Insurance is an insurance company based in Australia. Transport Health Insurance company only offers health insurance to individuals who work in the transportation field. Transport Health Insurance provides complete coverage at affordable prices. Additional hospitalization plans are available through Transport Health Insurance. With these plans, the out of pocket expenses are higher, but the monthly premiums are less. For example, the Top Cover Excess Plan offers the same coverage as the Top Cover plan except there is a $250 payment per claim that the policyholder is required to pay. Another plan that is similar to the Top Cover is the Top Cover with Co-Payment plan. This plan is the same except that there is a required co-payment with every claim that is filed. Healthy Choice Hospital Insurance Plan is another type of policy offered by Transport Health Insurance. The plan includes hospitalization with an established cost for the hospital stay. However, the plan does not cover any fertility, maternity, or joint surgery. Under this plan, there is a required waiting period of twelve months for certain benefits. The website provides further details and explanation of coverage. Medical transportation, chiropractic services, and hearing services are all covered under the Top Extra plan. Transport Health Insurance offers what they call “Combined Cover Plans.” These plans are designed specifically for individuals, couples, and families. Optical, dental, and physiotherapy coverage are some of the additional benefits that are included. Eye surgery, reproductive services, joint surgery, and plastic surgery are not covered. Maternity services are only covered after two years of maintaining the policy. The last of the Combined Cover Plans is the “Family by Design” plans, which are available in three different policies. The benefits of the plan include those that are in the Top Hospital Plan and the Top Extra plan. One of the requirements of the plan is that the children within the family must be between the ages of 21 and 25 who are no longer full time students. The only difference between these three plans is how the premiums and co-payments are structured. The Excess policy requires a payment to be made when a hospital claim is made, and the Co-payment policy stipulates a co-payment to be made with certain medical expenses. Transport Health Insurance quotes can be obtained by filling out the required information on the website. A series of questions will also be asked to determine what type of coverage meets you or your family’s needs. Once this is complete, a plan will populate your screen for review. Transport Health Insurance provides customer service to its policyholders by offering helpful information on its website. For example, the website offers an online directory for all of the participating hospitals and doctors. Online forms including brochures claim forms, rebates, and applications are all listed for downloading purposes. Enter your zip code into the toolbox to find health insurance quotes in your area now! DO NOT trust this insurance provider. They will do whatever they can to avoid paying out claims and have awful customer service when you have an issue. When you sign up they promise the world but the reality will only disappoint.